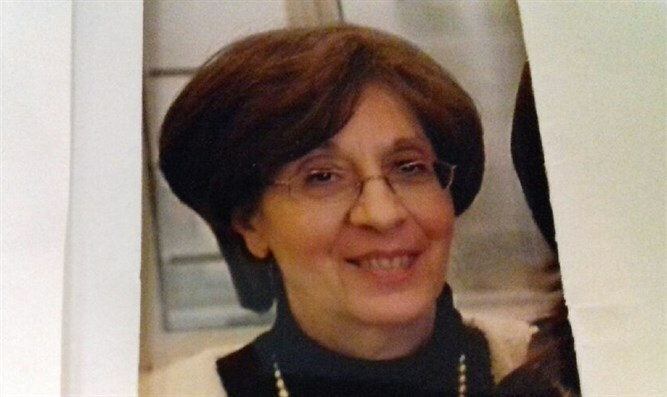 Sarah Halimi, well known in the Paris Orthodox community, was brutally beaten and thrown to her death from her third-floor apartment by a ‘’radicalized’’ Muslim neighbor. It was the crime that should have shocked France – a quiet Jewish woman mercilessly beaten by a young Muslim neighbor in the middle of the night before being thrown to her death from her Paris apartment. All this to recitations of the Koran and cries of ‘’Allahu Akbar’’ while police waited outside for the arrival of an anti-terrorist unit. Yet few outside of the Jewish community heard of the crime last month, with essential elements being omitted from mainstream press reports of the horrific attack. Six weeks after the violent death of 66-year-old Sarah Halimi, her family are speaking out. Holding a press conference on Monday, lawyers speaking on their behalf stated their belief that the crime was anti-Semitic in nature and condemned the ‘’silence of the media’’ in the aftermath of the crime. Until recently the devout family had been observing the 30-day period of mourning called for under Jewish law, lawyer Jean-Alex Buchinger explained, but now this period has ended, they were eager to work for the full emergence of the facts. The 27-year-old suspect, Kada Traoré, a Muslim of Malian origin, was arrested by police at the scene of the crime and has been hospitalized in a psychiatric ward ever since. Traoré, who holds a long criminal record and was allegedly radicalized in prison, has not yet been fully questioned by police, the family’s lawyer revealed. Having scaled an exterior wall to enter her apartment by the balcony window, the accused subjected his victim to a violent ordeal culminating in her murder – Mrs. Halimi’s lifeless body was found three stories below her Belleville apartment on the morning of April 4th. Traoré was hospitalized after reportedly telling police that the Koran commanded him to commit the act. Rue de Vaucouleurs, in a working class area of Belleville, Paris, where the deceased was thrown to her death on April 4th. Photo courtesy of Le Parisien. ‘’He massacred her with blows, salvos of punches interrupted by recitations of surahs (verses) of the Koran and of ‘’Allahu Akbar’’. How do we know this? The neighbors – although not present in the apartment – heard everything’’, Buchinger continued referencing the existence of a six-minute audio recording of the attack made by one neighbor. Dozens of neighbors were reportedly witness to the drama in the early hours of April 4th. Only six are now prepared to testify however. Initial reports of an Islamist motive on the part of the accused had been quickly dismissed as wild rumors and dropped from the official investigation, a press conference days after the murder suggested, with some observers at the time speculating that these details were being omitted to keep the story from exploding until after the presidential election campaign. Describing her apartment as being covered in blood following the attack, Mr. Buchinger criticized the length of time it took for authorities to intervene; the police already present – believing Traoré to be armed – are said to have waited over an hour outside Mrs. Halimi’s apartment for an anti-terrorist unit to arrive. The family reserved the right to insist on an investigation if light were not shed on this aspect of the operation, the lawyer explained. William Attal, the brother of the victim spoke during the press conference, stating that he was shocked at the inaction of police at the scene and at how the ‘’anti-Semitic and Islamist motive’’ behind the crime had not been pursued. Writing in Monday’s Le Figaro, a second lawyer for the family, writer Gilles-William Goldnadel, denounced ‘’the new anti-Semitism in France’’, and the cover-up of the real story; a young radicalized Muslim torturing and throwing an elderly Jewish woman to her death to the general indifference of the public. 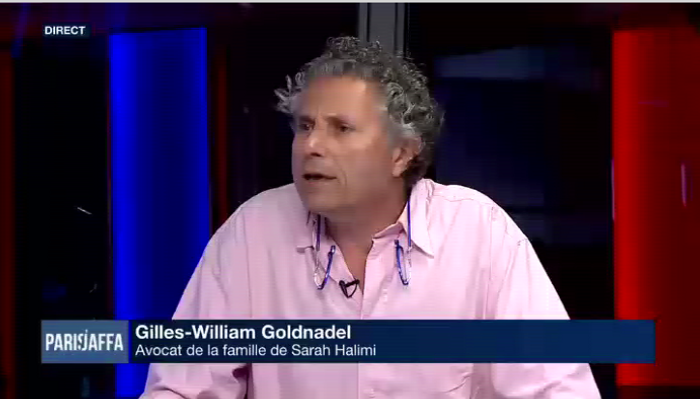 Goldnadel, asked to represent the family by the sister of the deceased, recounted how Mrs. Halimi had feared her attacker and previously been subjected to anti-Semitic taunts of ‘’sale juive’’ (‘’dirty Jew’’). Her attacker, fitting the typical profile of a small-time thug turned Islamic radical, presented no previous signs of psychiatric illness, Goldnadel noted, and yet at the height of the presidential campaign, his crime was put down to the actions of a madman – the now default media response to Islamic terrorism in France. In a television interview Sunday night, the lawyer criticized the ‘’endless psychiatrization of Islamist terrorists’’, suggesting that if the murder had been committed by a white person, there would have been demonstrations in the streets. ‘’Since it involves a Muslim extremist, all of political and media France keep quiet’’, he observed. Few establishment journalists and not one candidate raised the crime in the context of the presidential campaign, a debate which largely focused on economic issues over security and immigration. Could it be that the story would have made for uncomfortable subject matter for the media’s preferred candidate, President Emmanuel Macron, a strong advocate for multiculturalism and liberal immigration policy? Cover-up, politically correct black-out or otherwise, the family of the unfortunate victim are adamant that the truth be revealed and justice served. Mrs. Halimi had formerly run a children’s nursery and is survived by her siblings, children and grandchildren, who live between France and Israel.